"Tidying Up with Marie Kondo" is taking America by storm. The hit Netflix show teaches viewers how to clean the mess in your houses and start the new year off with less clutter in the closet. "I love that she's inspiring people to streamline their spaces so that they're not stressing about their time commitments," said Amy Tokos, owner of Freshly Organized in Omaha. As a former engineer, Tokos' goal is to organize spaces to make it efficient for everyday life. "When you only have five minutes to fold your laundry you only have five minutes to put them in a drawer so you need to find the balance that your organizing needs meet all that structure," Tokos said. Tokos, who's watched the entire first season of the series, says that customers have started to use the lingo used in the series when talking to her about her business. "I think [the show] does resonate because they're showing average families and average spaces that have a little too much stuff in it," Tokos said. Here in omaha people are starting to tidy up their own homes. For those who want to give clothes away, the WCA on 38th and Harney is accepting donations and said giving to the organization's boutique has risen over the last two weeks. "It's just nice to start a new year off decluttering your house and we know that's been a big trend and we've seen donations pick up in the last week," said Elizabeth Power, director of marketing and public relations at WCA Omaha. "We have received so many more donations, we received 32 donations in one day." 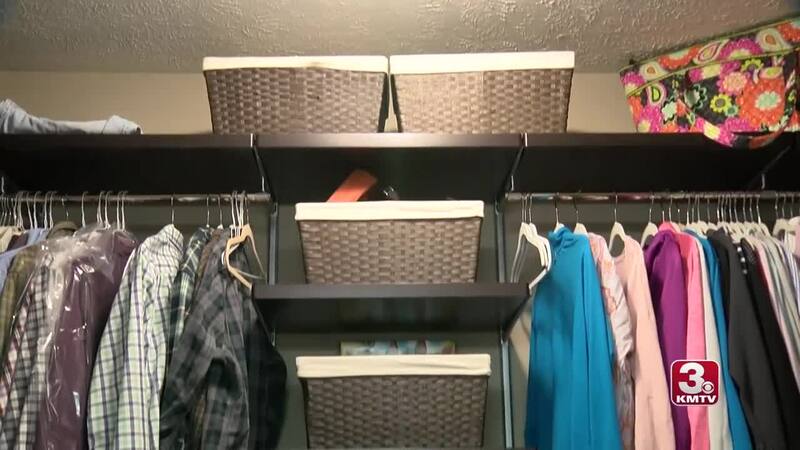 Once you donate the clutter, Tokos says its a lot easier to organize the house without hitting hard on the cash. "I do a lot of re-purposing and I'll tell you a lot of people have [everything already] in their house," Tokos said. "People ask me what to buy and I tell them to not buy anything because they already purchased it." And just like the show teaches, cleaning up the clutter can mean more than a spotless surface. "Once they get past the sense of being overwhelmed, they start to feel empowered and that's my goal," Tokos said. "I want to transfer skills and be empowered and maintain things themselves."